Good read with some questionable miraculous acts. Attending an Irish monastic school in 575, Fingal dreams of the day when he will wear a monk’s habit. For several months he works and studies, following the example of Columban, the teacher who has won his loyal affection. His plans change when he finds out that his beloved teacher intends to become a missionary. When Columban leaves for Gaul, Fingal schemes to follow him, never suspecting what adventures will cross his path. Several characters, including Fingal, display ungodly attitudes and motives, but their sin is dealt with adequately. The true meaning of Godly service and contentment in following His will is the main theme of the book, along with not allowing love for man to stand in the way of God’s will. The entire book is full of monks, missions, and discussion about God and the Bible. The characters grow and change in their relationships with God. One of the characters heals dying animals and people, and another character raises a man from the dead. Fingal goes through multiple difficult and even dangerous situations. He is enslaved at one point. Some people speak of the ills their country is experiencing. All violence is dealt with delicately. Some minor characters get drunk, and most drink moderately. The drunkenness is spoken of as mentally crippling, but that is all. People call each other names and express anger, but nothing unfit to be read. 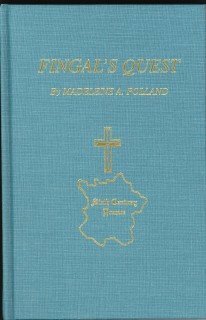 Fingal’s Quest is well worth reading. It teaches true service to God, following His will, using opportunities, having right motives, and trusting God. The adventures keep it interesting and exciting, the characters keep it fun, and the spiritual growth makes it inspiring and instructional. The history is well done and accurately represented.